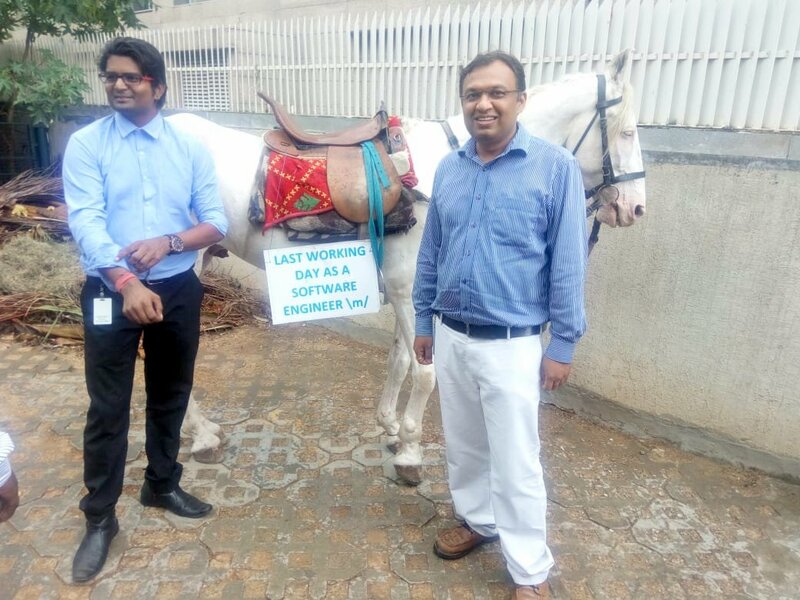 The placard reads "Last Working Day As A Software Engineer”. 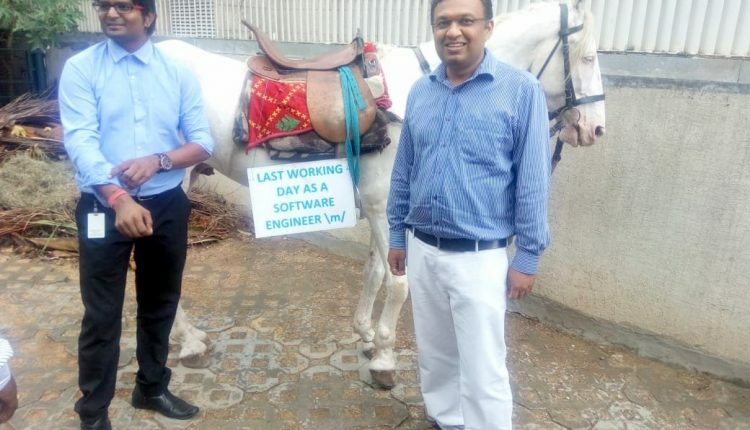 Software engineer Roopesh Kumar Verma, who has left his present job to set up his own start-up, ended his last day at work on an innovative note. 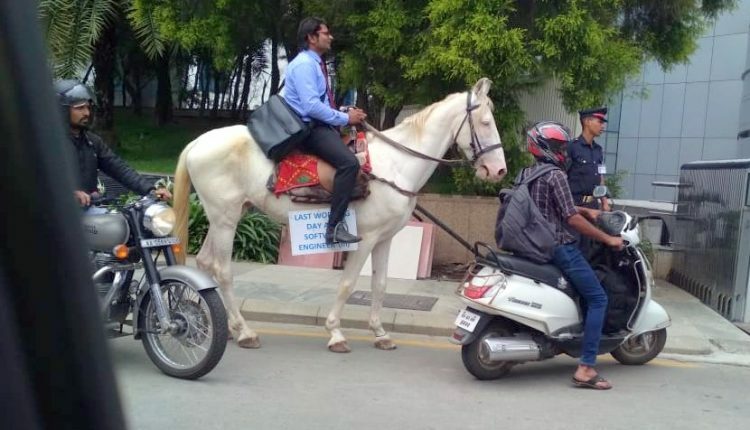 He was fed up of the traffic situation in Bengaluru with traffic jams that sometimes made him wait 30-40 minutes in the same spot. 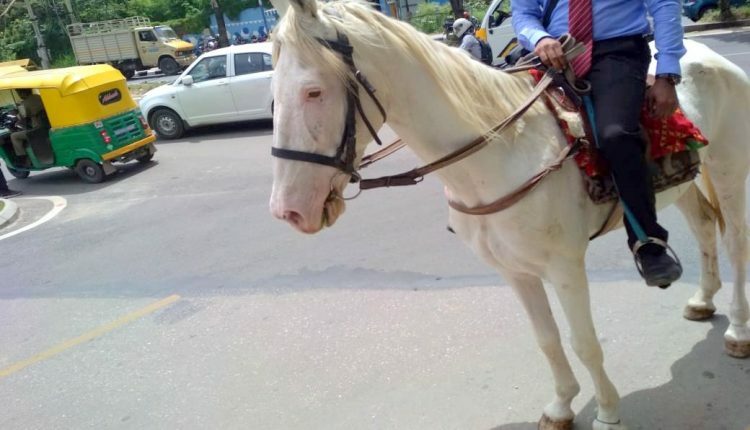 Verma rode a white horse to work on his last day with photos and video going viral. 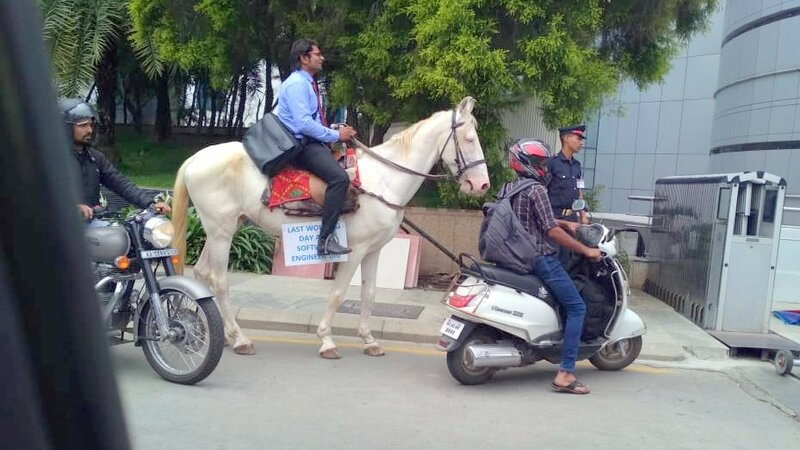 He did not expect such overwhelming response, but the way in which his unique mode of transport has drawn the attention of the public more than justifies his point of Bengaluru being over crowded with too many vehicles on the street. 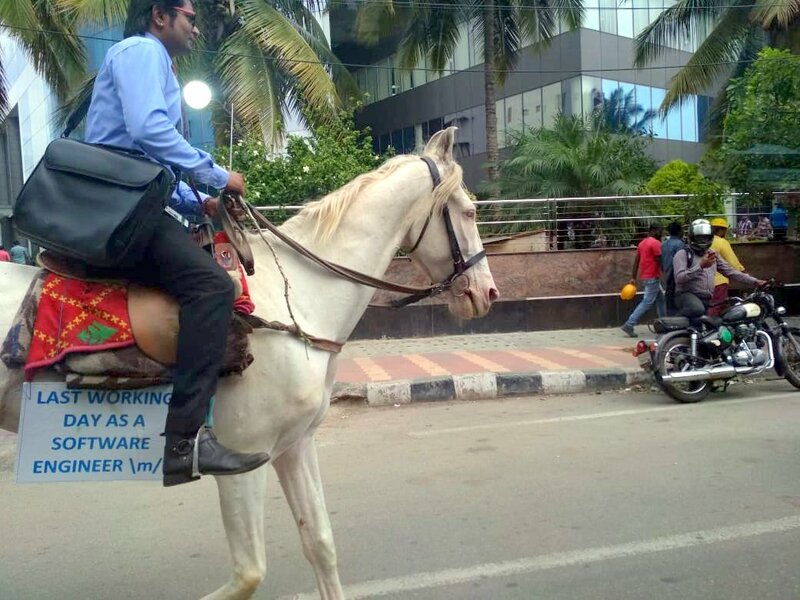 Verma, dressed formally in blue shirt and black trousers with a laptop bag on his shoulder and a placard that read “Last Working Day As A Software Engineer” rode astride this white horse along Bengaluru streets. 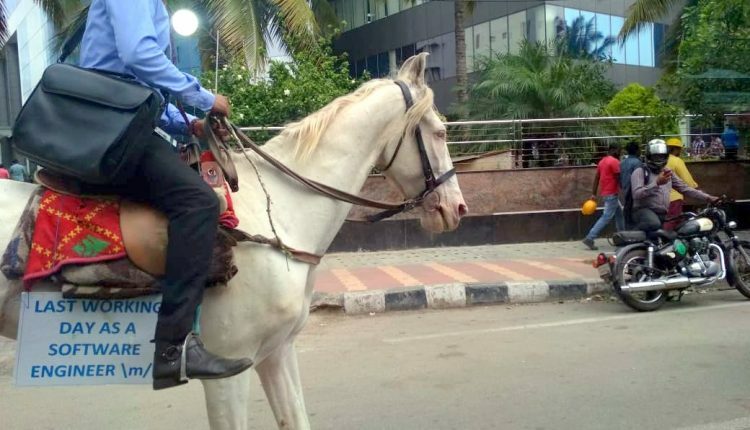 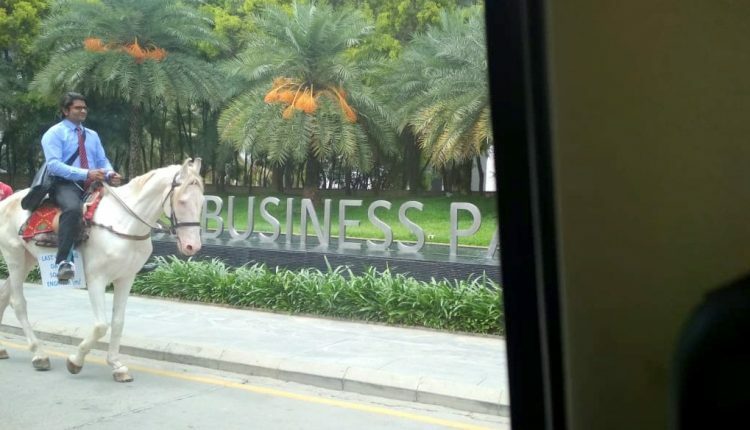 The ride to work was 7 hours long and the horse comfortable trotted through Bengaluru’s traffic. 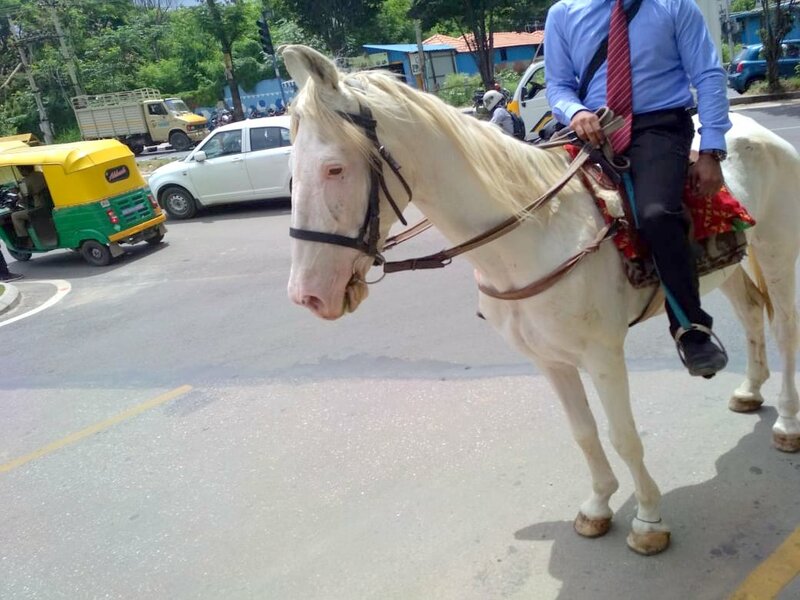 Verma guided his horse over a 10 km journey from his residence in Mathikere to his office in Embassy Golf Link. 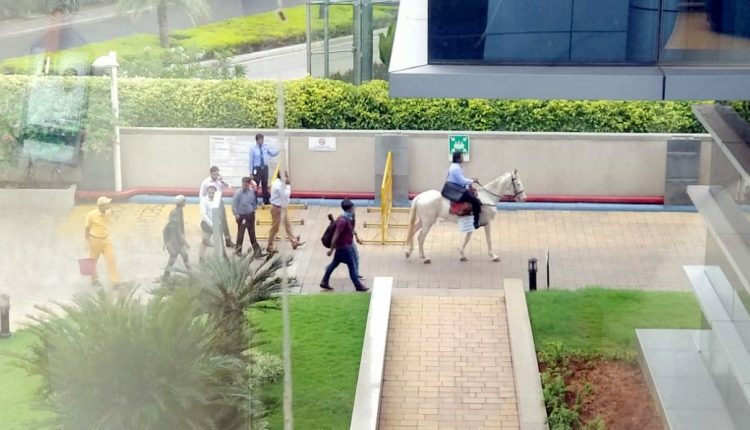 He set off at 7 am to arrive at work at 2 pm marking a dramatic entrance on his last day at work. 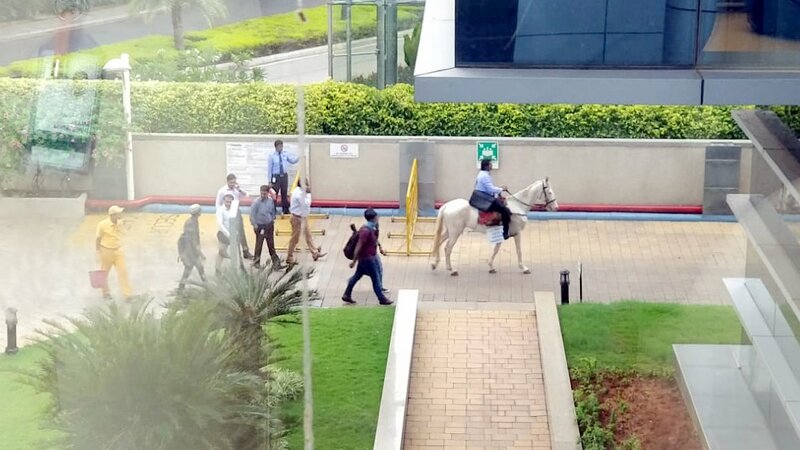 Verma was stopped by security guards at the gate of his workplace but he argued that this was his mode of transport. Through this way of travel, Verma appeals to the authorities to try and solve this major problem that Bengaluru is facing. The traffic situation is getting out of hand and traffic jams, accident and long delay seem to be an everyday affair in the city. 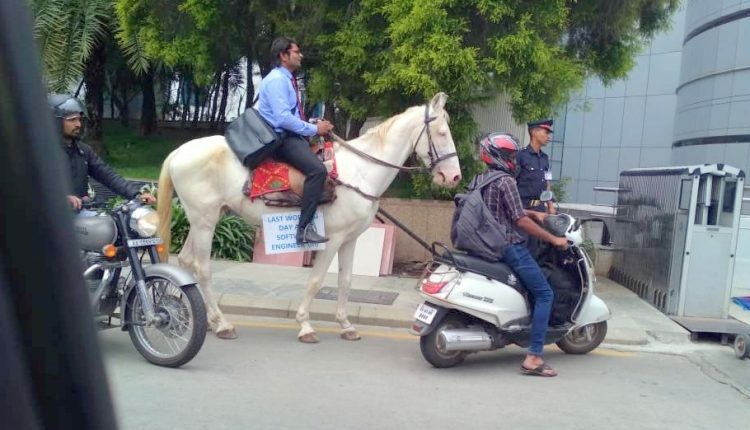 Verma is not trying to attract any attention out of this horse ride to work but wishes that the authorities will sit up and take not of the plight of commuters in the city.